http://www.marianogago.org/ is a website dedicated to sharing the memory of Jose Mariano Gago and his unique legacy and dedication to science and scientific culture. In his recent article Carlos Fiolhais described the dire state of the research system in Portugal. He finished his article with a reflection regarding European science policy. In this piece I would like to pick it up from his concluding remarks because the situation in Portugal is indeed just another chapter of the R&D Southern European tragedy. The other chapters are Italy (since 2009, suffering a 90% cut in recruitment, a 100% cut in basic research grants, and the disappearance of 40% of doctoral courses); Spain (from 2009, experiencing a 40% cut in basic research grants, the disappearance of 90% of the permanent positions left open due to retirement, and the systematic breach of tenure track contracts); and Greece (since 2011, subject to a 50% cut in funding of research centres and universities, and a 100% cut in new hiring). But the Portuguese chapter described in Carlos Fiolhais’s article is particularly dramatic, given that 50% of the country’s research units might be facing closure. Let me repeat that: half of the research units of an entire country, at both research centres and universities, might be facing closure. We are talking about a country with a relatively young research system. We are talking about wide-spread closures that will undoubtedly cripple all the research-based activities of an entire country for decades to come. And what reaction did this move trigger? Mostly silence. Where is the outcry from the international scientific community regarding the Portuguese research review process and our Portuguese colleagues’ plea for survival? Where is the reaction from European institutions to protect a sector so important for the sustainable development of a country that had to be rescued during the economic crisis? In this context, the sudden death of José Mariano Gago, late last week, has been the latest slap in the face and an extremely surreal one. 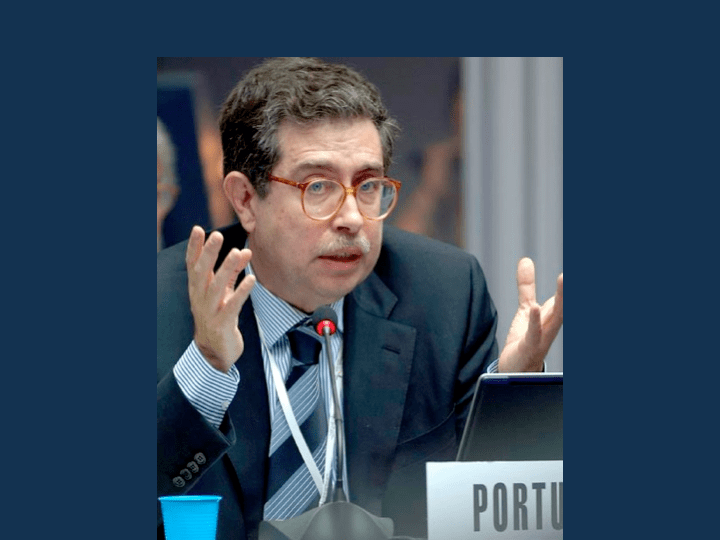 He, who since the late 1980’s, has been fighting so hard to establish a research system in Portugal, first as President of the Portuguese Funding Agency for research and then as Minister of Science. He, who since the early 2000’s, has played a key role in European science policy under many different guises, including as one of the masterminds of the Lisbon Strategy. He is now dead. Literally dying while trying to save what he helped so much to create: the Portuguese research system. Literally dying, while, using his own words, “submerged by evaluators’ repetitive questions to my lab”. Literally dying, while encouraging debate regarding the impact of the austerity measures on the increasing European research divide. And still he had hope. One of the latest debates he chaired on whether science is contributing to the division of Europe was a high-profile session at ESOF2014 in Copenhagen. In an email to the panellists, he told us: “In my view, which I hope you may share, results were very encouraging. Speakers and participants tried to converge in finding a common ground, and we all agreed that we are facing a difficult and complex situation, irreducible to a schematic description or simplistic “solutions.” His dead is a huge loss in this context. We needed him more than ever because of his unique combination of a conciliatory personality, intellectual and political sharpness as well as extensive science policy experience at the national and European level. And also because he was very much down-to-Earth—or, might I say, down-to-lab—having an intimate knowledge of the impact of the austerity measures on everyday research activities. All those aspects made him a unique bridge between science policy makers and science makers. I do worry myself about my own schematic description because, indeed, my perception is that the chapters of the R&D Southern European tragedy have a storyline in common. We are all aware of the studies that show that increased R&D investment is related to the growth of the GDP. But it has also been shown that it is related to increased democratic transparency. To me it makes perfect sense: a political leader that advocates for R&D is investing in the future of the country with a statesman vision, as opposed the short-sighted approach—wide-spread in some countries—favouring investments focused on short-term political gain or those that benefits certain interest groups. I feel researcher in the North and the South, as all educated citizens, should protest loud and clear against this policy. But ours is an uphill battle because research does not follow political cycles and there are other interests at play that have little to do with the long-term social welfare of the European citizens. I do not know if José Mariano would have shared my view, but I am certain that his portrait of the situation would have contained an infinitely richer set of hues that we can no longer benefit from. As myself, he was also appalled by the silence. In his own words, he questioned “why it appears to have not been possible, so far, to mobilise [more] people throughout the political spectrum and society, at least at the level that would be required?” My own view is that the increasing research divide is neither good for the South, nor for the North, because it will result in a deficit in technology, innovation and discovery Europe-wide that José Mariano was so worried about. This should be an encouragement for European institutions to provide the necessary measures to make sure that Southern European countries also achieve a knowledge-based society. Our dearest José Mariano, you contributed tremendously to European research development and we are extremely grateful for your restless work.